Kejriwal’s controversial remarks came while he was attending Andhra Pradesh Chief Minister N Chandrababu Naidu's daylong fast demanding special status for his state. 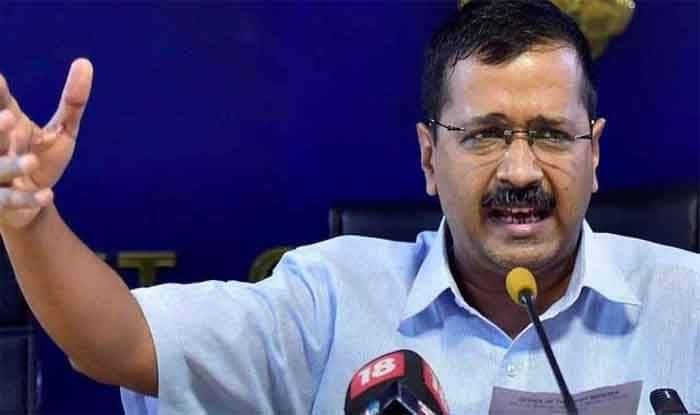 Delhi Chief Minister Arvind Kejriwal on Monday took a jibe at Prime Minister Narendra Modi saying that the way the latter treats the opposition, it seems like he is prime minister of Pakistan. “When a person become Prime Minister, he becomes Prime Minister of the entire country and not just of a particular party. The way PM Modi treats the governments of the non-BJP ruled states, it seems like he is Prime Minister of Pakistan not India,” Kejriwal said. Kejriwal’s controversial remarks came while he was attending Andhra Pradesh Chief Minister N Chandrababu Naidu’s daylong fast demanding special status for his state. Congress president Rahul Gandhi, former PM Dr Manmohan Singh, National Congress chairperson Farooq Abdullah, NCP’s Majeed Memon, Trinamool Congress’ Derek O’ Brien, DMK’s Tiruchi Siva and Samajwadi Party founder Mulayam Singh Yadav were among those who met the TDP chief to express their support.